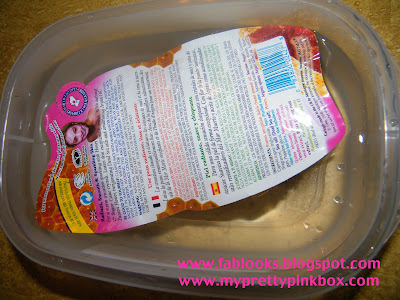 Montagne Jeunesse "Crystallised Honey & Passion Flower Mask" REVIEW! 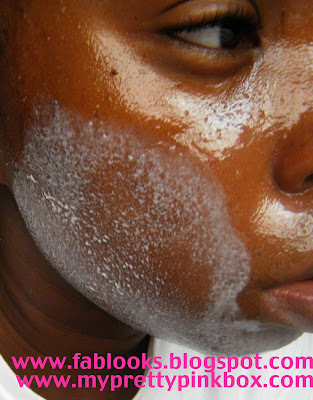 I want to meet one person who doesn't want radiant, smooth & sparkling skin!! This summer I haven't been taking care of my skin, so I am glad that I had the opportunity to try Montagne Jeunesse "Crystallised Honey & Passion Flower"mask. This stuff smells amazing! The whole time it was on my face I wanted to eat it! It was easy to apply and I also liked how it didn't become super tight on my face after the 15 minutes I had it on! The sugar cane crystals were very fine and didn't hurt when I was massaging it into my face. I would purchase this not only because it smells so good but because my skin felt great after using it! The mask once it was on for 15 minutes and water was added to it! If you haven't noticed yet I have joined with myprettypinkbox.com to give MY reviews of the products from My Pretty Pink Box. Where did u purchase the mask?? Please let me know...I love mask. And if it smells good, that is a plus. One on One with Jenn featuring Sofia!